Sing Bath Themed Songs – Music is a super easy way to increase bathtime fun without impacting your toddler’s skin at all! Here are 5 bath themed songs from the Let’s Play Music blog to try. Practice Fine Motor Skills with Household Tools – Check out the three tools – which you might already have in your kitchen! – blogger Rachel of Racheous lets her kids play with in the tub. 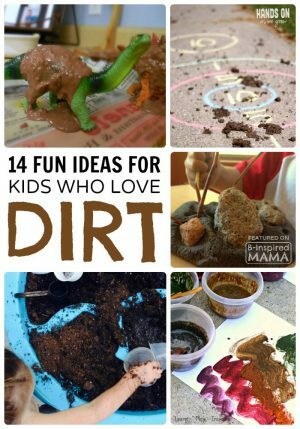 They’re fun and help the kids strengthen fine motor skills, too! Make Bath Toys out of Pool Noodles – Head over to The Jenny Evolution to find out how to use pool noodles for some sensory play in the bathtub. DIY Bath Toys – Kids Activities Blog shows you how to make your own bath toys – the possibilities are endless! Create Abstract Art – I used the same DIY bath toys concept to make shapes for my J.C. to use in creating bathtub abstract art. Make Mixed Up Monsters – Or use the same technique to make some “Mixed Up Monster” shapes as seen on Childhood101. Make Sponge Boats – Use sponges to make some fun boat toys your toddler can float around their bath. Transform a Milk Jug into a Bath Toy – MamaOT.com shares how to cut a recycled milk jug to make it fun for scooping and pouring in the bathtub. Mix Up Alphabet Soup in the Tub – Add some bowls, spoons, and foam bath letters to encourage learning and play in the tub. Baby Bath Play – The Mama.Papa.Bubba blog shares how to set up a baby bath station for a toddler, but why not add it right to the bathtub with your toddler instead? Make Sponge Street Scenes – Cut some street scene themed shapes out of thin sponge or foam sheets to encourage creativity and storytelling. Have a Shadow Puppet Show – Turn out the lights put on a shadow puppet show right on the bathtub wall! Find bathtime shadow puppet inspiration at The Outlaw Mom. Try Some Science Experiments – Childhood101.com shows how to set up a simple bathtub science lab and 3 science concepts to explore. Just skip the color mixing one if you’re worries about the coloring irritating your little one’s skin. Play with Ice – Let your little one explore ice cubes and how they melt in the bathtub. You can also freeze bath toys and foam letters in ice as seen on the What Do We Do All Day blog. Simple Bath Paint for Sensitive Skin – If you dare try bath paint at all, make your own with this homemade bath paint recipe from Emma Owl that only uses two simple ingredients and no soap at all. Try the Dove Sensitive Skin Beauty Bar in your Toddler’s Bath! When it comes to bathtime for your toddler (or any aged child – baby through adolescent!) with delicate skin, choosing the right skincare products is so important. I’ve learned the hard way that soap strips the skin of its essential nutrients, therefore often irritating it. 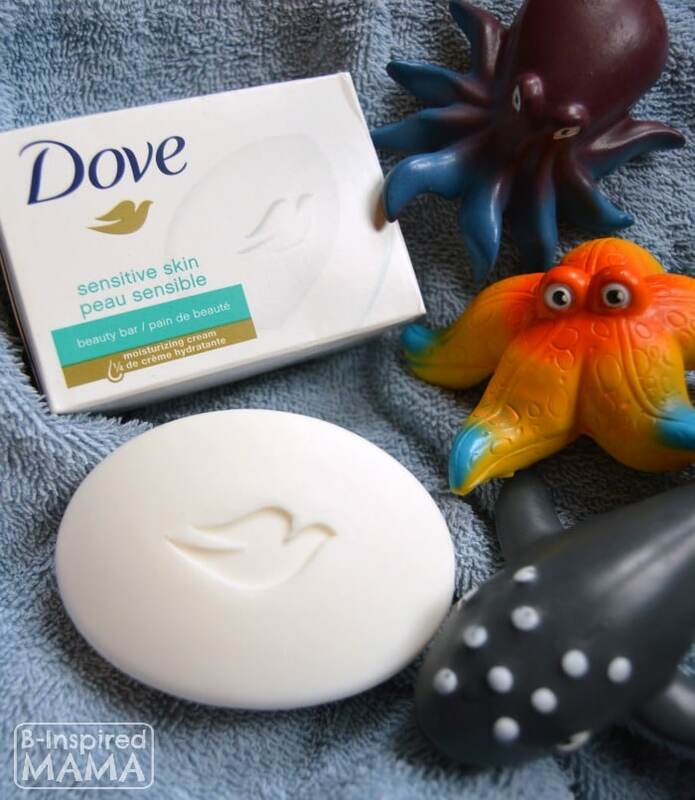 But Dove Sensitive Skin Beauty Bar is not a soap and is even proven to be more gentle and mild than soap. So if you’re on the hunt for a bath product suitable for your toddler’s sensitive skin, give the Dove Sensitive Skin Beauty Bar a try. It’s available at drugstores nationwide. 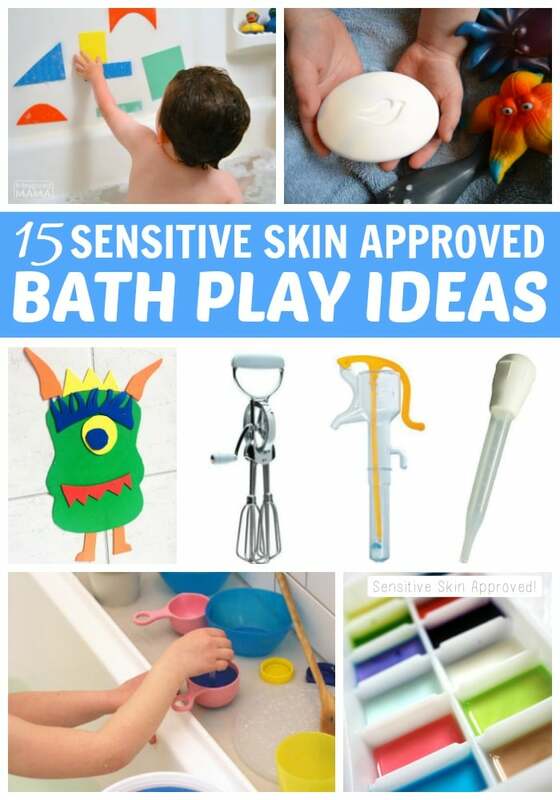 And make bathtime more fun with one of the sensitive skin-friendly bath activities for toddlers above! Does your toddler have sensitive skin? Have you had trouble with bath products or bath play recipes because of it? 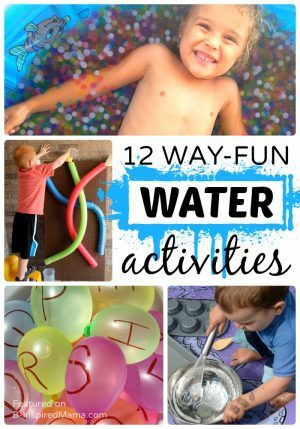 Have any bath activities for toddlers you’d add to the list above? Join the conversation in the comments below! What a lovely round up! We love playing in the bath – one of the best times of the day! Thanks for including our bath paint! Thank you. It’s my pleasure to include your great bath paint recipe!